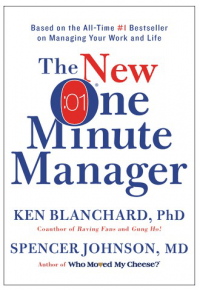 The New One minute manager is the story of a young man. The young man begins his search to find a perfect manager that works in both areas of employees: work and life. In the journey, he found the manager that he was looking for and learned 3 secrets to lead the organization. The 3 secrets are praising, goal, redirect.